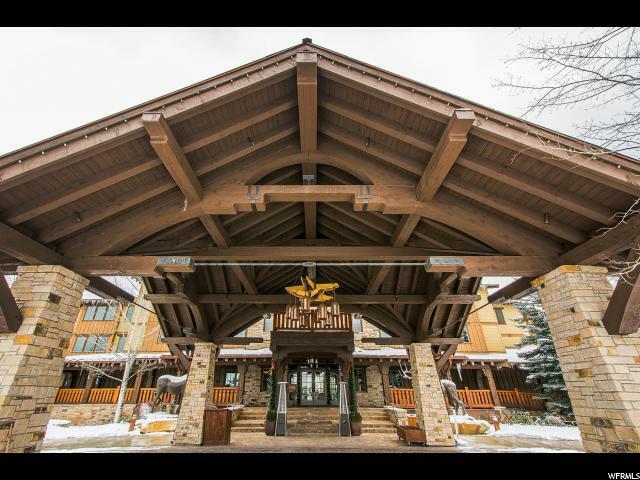 All HOTEL PARK CITY homes currently listed for sale in Park City as of 04/18/2019 are shown below. You can change the search criteria at any time by pressing the 'Change Search' button below. "This residence puts the Grand in Grand Luxury Suites! This oversized one bedroom, two bathroom is superior in every way! This residence offers a full kitchen & separate dining space, two fireplaces, vaulted ceilings in the spacious bedroom and the largest balcony of all the Grand Luxury Suites making this the perfect residence for entertaining! This coveted residence is located in the spectacular Hotel Park City turret and offers amazing views of the mountains, golf course and Hotel Park City pool! Relax poolside or at the spa after working out in the state of the art fitness center. Dine at Ruth's Chris or have the best burger in town at Bandanna's Bar & Grill. Golf, nordic ski, snowshoe, hike, bike out your door or take the free city bus or shuttle service around the corner to either of the world class ski resorts!" "Rarely available Grand Luxury Suite located in the heart of the Hotel Park City. This oversized one bedroom two bathroom offers a full kitchen & separate dining space, perfect for entertaining! 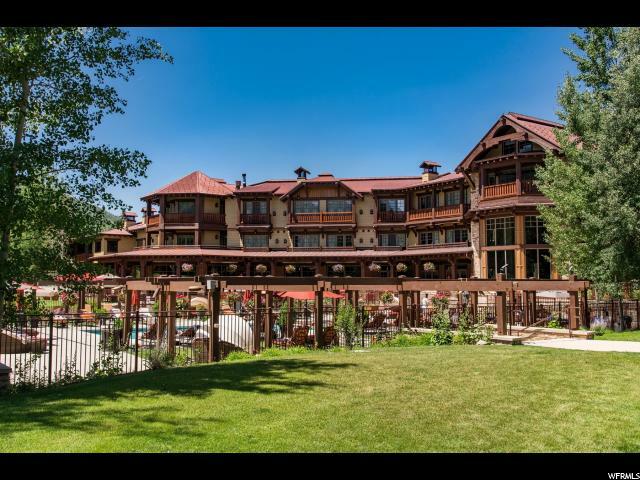 Centrally located within the Hotel this residence offers amazing views of the mountains, golf course and Hotel Park City pool! Relax poolside or at the spa after working out in the state of the art fitness center. Dine at Ruth's Chris or have the best burger in town at Bandanna's Bar & Grill. Golf, nordic ski, snowshoe, hike, bike out your door or take the free city bus or shuttle service around the corner to either of the world class ski resorts!"